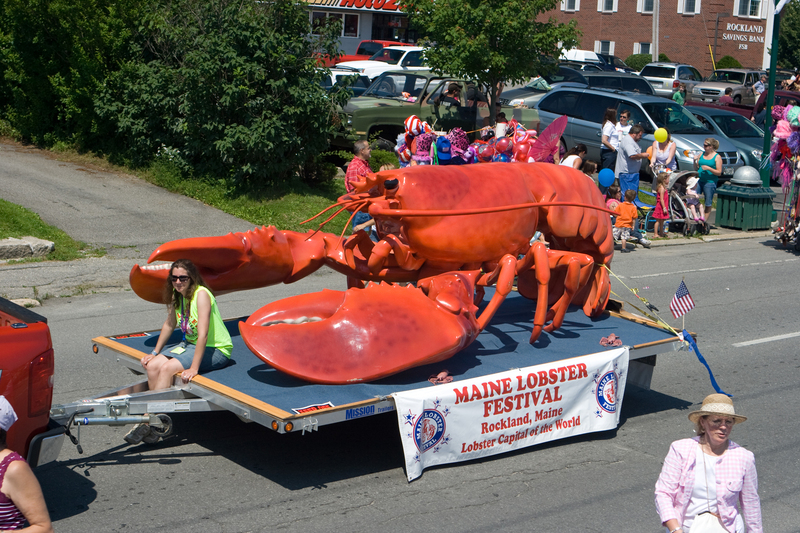 Maine Lobster Festival’s parade in Rockland, Maine, includes this colorful lobster float. Credit: Maine Lobster Festival. If you’re dreaming of an event that is all about lobster, the Maine Lobster Festival in Rockland, Maine, will work in a pinch! The 2016 event will take place Aug. 3-7, at Harbor Park in Rockland, one of the most beautiful mid coast Maine towns (the downtown is fabulous for a small town!). The event will feature lots of yummy lobster as well as entertainment, a parade (check out the larger-than-life lobster float pictured on the left! ), arts, crafts, maritime demonstrations and exhibits, etc. In the true spirit of a close-knit town, local residents, as unpaid volunteers, have created this non profit event every year for 69 years. Admission is only $5 for adults and kids $2 (ages 6-12). According to the Maine Lobster Festival web site, Sunday is “Family Fun Day” and admission is free for all ages although tickets for entertainment acts and the carnival rides are a separate price. FYI, Rockland is four hours by car from Boston and less than two hours from Portland — not too bad at all for a great event like this! Call (207) 596-0376 for more info, or log onto the Maine Lobster Festival Web Site (where you can purchase tickets).